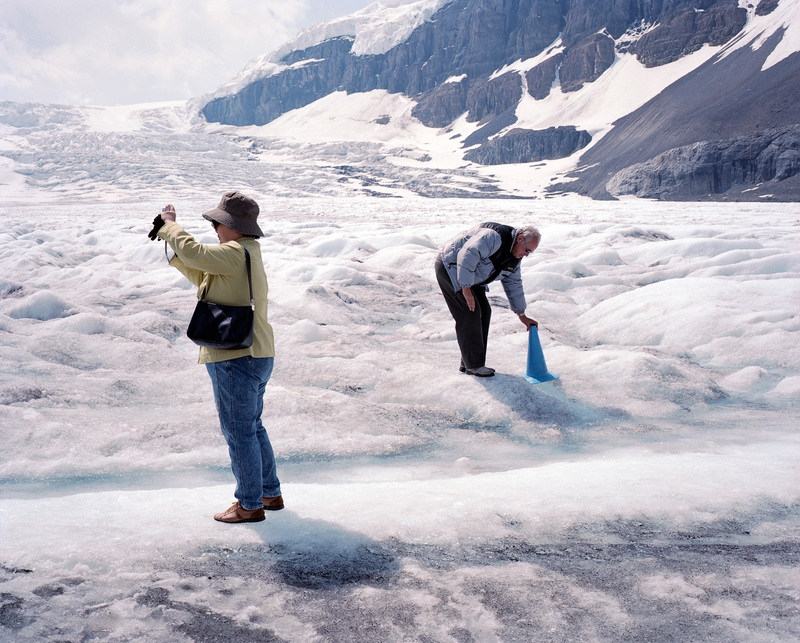 In the northern part of Banff National Park the main road passes right in front of the Athabasca glacier toe. 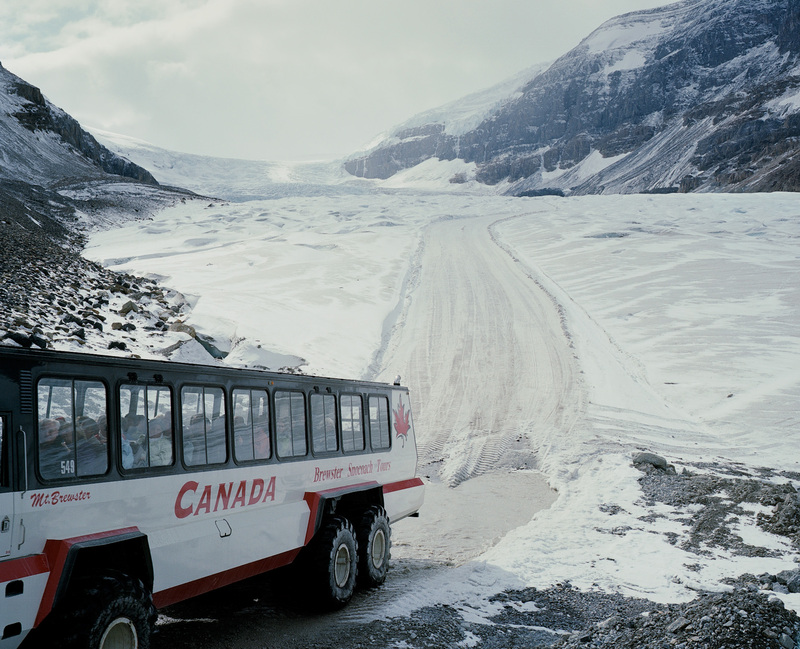 For a fee, anyone can purchase a seat on a glacier tour bus which begins in the valley bottom and drives onto the ice. Previously, I had seen the big buses while climbing in the mountains above. It was always a strange juxtaposition to see and hear these machines so far up the glacier. As a climber I questioned the value of such an intrusive operation in a sensitive zone, a national park no less. 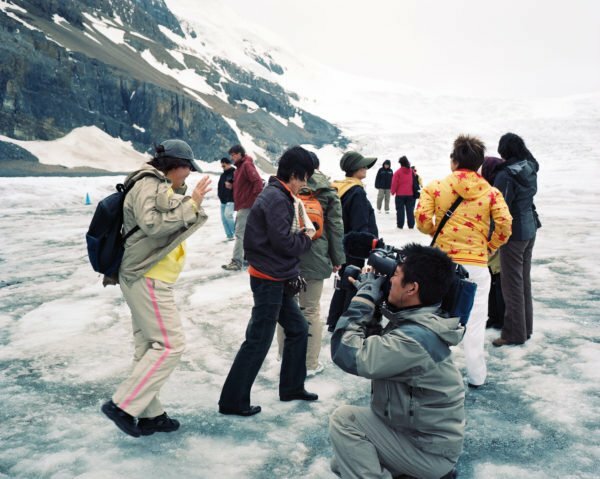 But another part of me was simply curious about the people on the bus, most of whom were experiencing a glacier for the first time. I made these pictures over a few weekends when I was living in Canmore, Alberta. How long to you spend in the locations you photograph? This varies but if I’m making personal work I try to revisit a subject over time. You live in a city but shoot mainly the wilderness, why? Growing up hiking, climbing and tree planting I was lucky to spend a lot of time in wild places both in Canada and abroad. These experiences were so humbling that I kept returning. Naturally, a small part of that has found its way into my work. It helps that Vancouver is one of those unique places where it is very easy to leave the city behind. A quieting experience awaits anywhere on the ocean or in the mountains on the city’s edge. 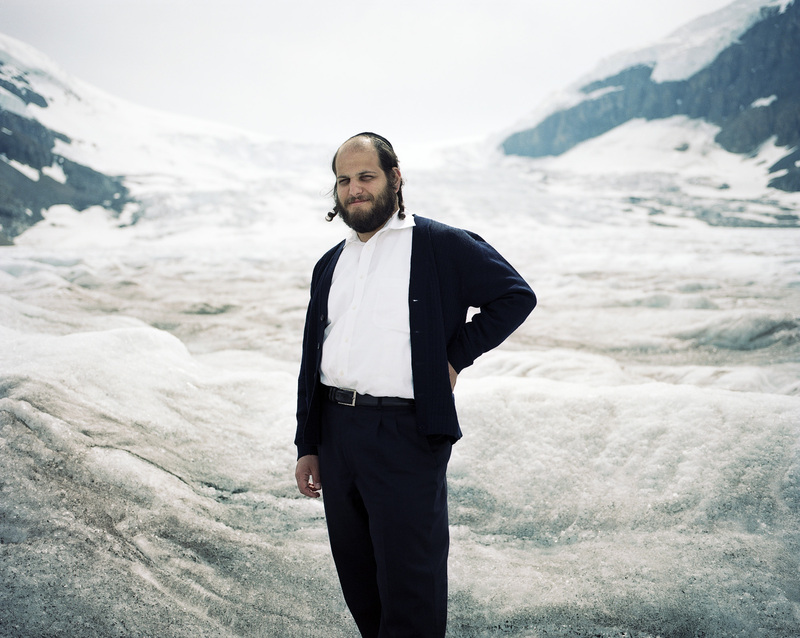 What is more important to you, the people or the landscape? 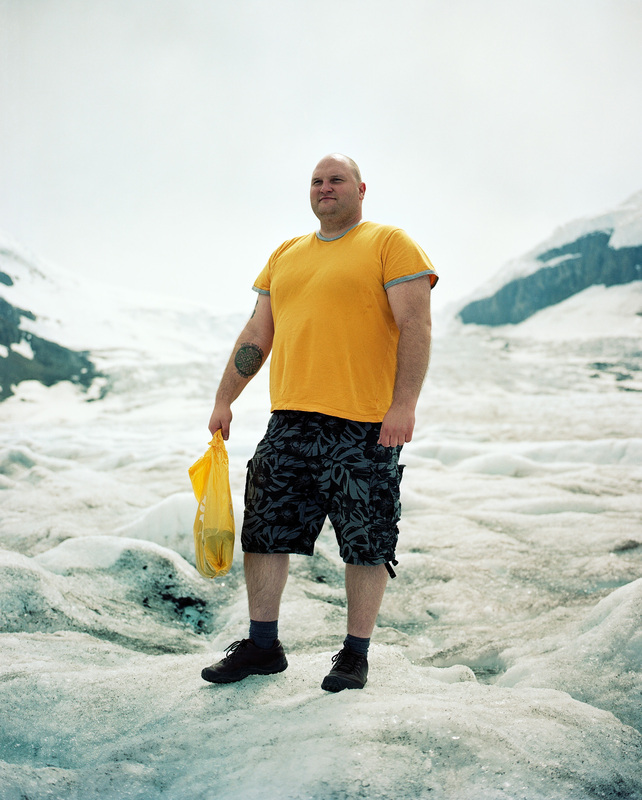 I enjoy exploring peoples’ relationship to the land and how that shapes them. For me they are inseparable. 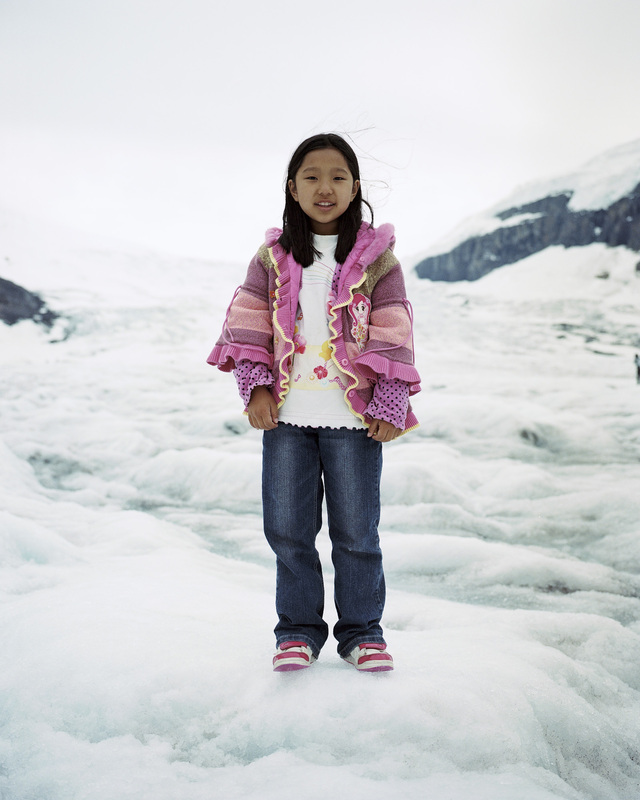 As a Canadian, what is the coldest temperature you have experienced? 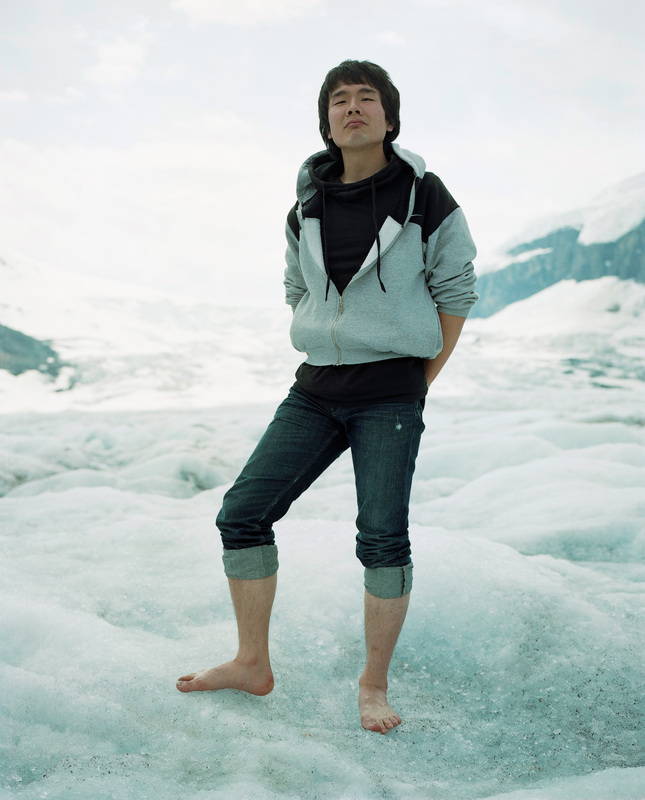 I used to shoot pictures of ice climbing. A few years ago, three friends and I decided to check out a previously unclimbed waterfall called Hunlen Falls in British Columbia. The nights cooled off to minus 30 in the tent but we made camp fires which helped a lot. All images by Andrew Querner.